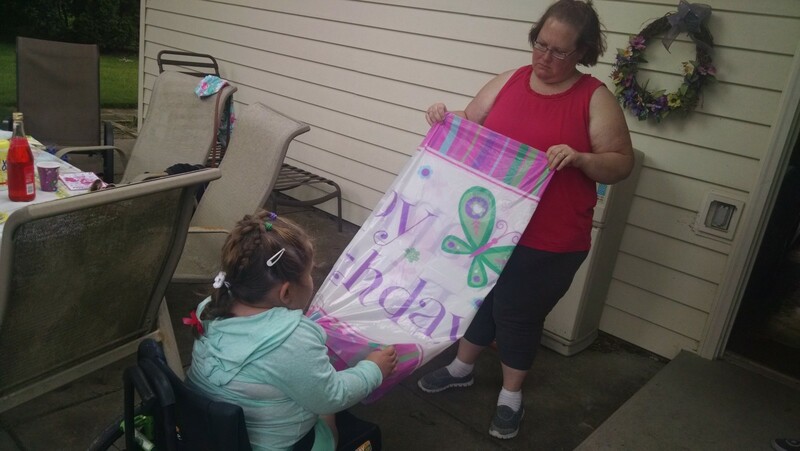 Yesterday evening, we celebrated Namine’s seventh birthday at my parents’ house. Remember the cake that Jessica and I made last night? We had some for breakfast in the morning. Thanks to the marshmallow fondant, it was significantly sweeter than the cake we made last year. Given that my mom would have another cake for us that evening, and there being no way we’d ever finish off this cake before it went stale, I took it to work. Even then, the fondant proved to be a little too sweet for people. No one wanted to cut into Elsa's face, either. It’s funny to me. Namine had picked out funfetti as the type of batter for the Elsa cake we made. The cake that my mom and sister had made was also Frozen-themed (with a dancing Elsa figurine on top), also made of funfetti batter. After cake, of course, comes time for opening presents. My brother and his wife had to leave, so Namine opened up their present — a My Little Pony Equestria Girl doll of the zebra Zecora — while we were still outside. It was getting too cold to stay outside, so we started bringing everything in. Namine helped Jessica fold up the tablecloth. 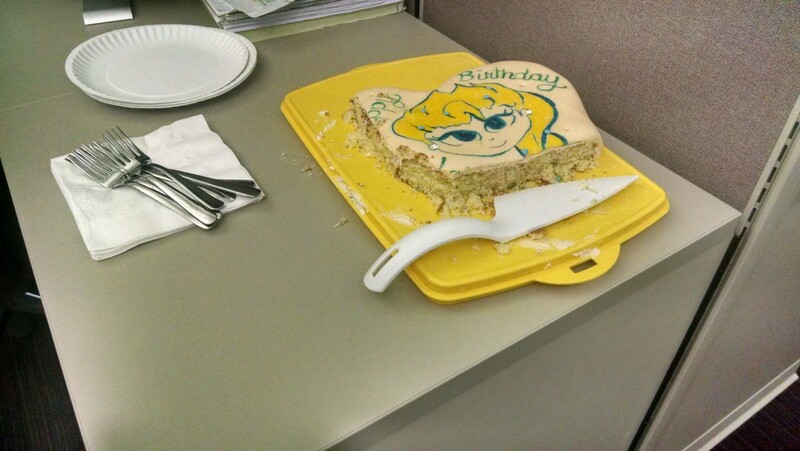 After the table was cleaned off and the two cakes were put away, we all went inside so Namine could open her presents. Being a Frozen party (even down to the Elsa and Anna tablecloth, not to mention the cold weather — it is July, right?) it was fitting for Namine to get a Frozen Lego set. The most exciting gifts — at least for Jessica and myself — were from my mom: an empty photo album, empty autograph book, and Disney lanyard. They’re for Namine’s Make A Wish trip to Disney World, to collect memories. I wasn’t surprised that Namine was more excited about the toys than the empty books. That’s okay — she’ll appreciate them when we’re at Disney.